I am a psychotherapist working in Queens Park, North West London, offering a confidential space in which you can talk about your problems. There are many reasons as to why people decide to seek help but finding an appropriate counsellor or psychotherapist can be daunting. When we are feeling depressed or low we can become confused about the uncomfortable or even frightening feelings we may be experiencing and so trying to understand, or voice them, feels to be impossible. Difficult feelings you may be struggling with ? I am a psychodynamic counsellor and psychoanalytic psychotherapist having worked for over 25yrs both in the NHS and in Private Practice. 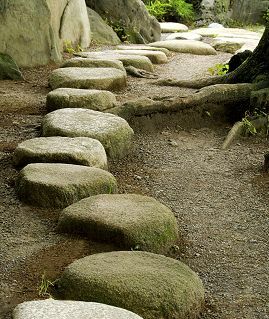 This extensive experience with people of all ages, coming with a wide range of problems, enables me to offer you either brief counselling or longer term in-depth psychotherapy. I am also a qualified supervisor and teacher, having worked with therapists in training for over twenty years. 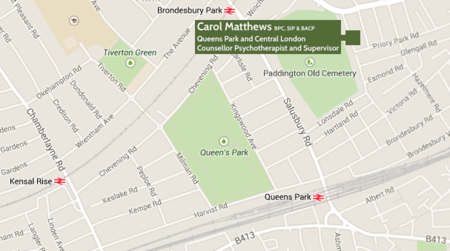 I practice from Queens Park, NW 6 and W1,Central London and am a member of various professional psychotherapy organisations. What Can I Do To Help You ? Initially, we would set up an 'assessment meeting' during which we could discuss your current difficulties and think about the appropriate therapy or supervision options. This could also be a one-off session in which, having explored your problems, you may ultimately feel that this has been therapeutic in itself and enough for now. You may always return at a later date if needed. It may be, however, that during the session it becomes clear that you need a different sort of help and I will try to refer you to somewhere more suited to your needs. Please e-mail me a few lines telling me what you might be struggling with at [email protected] or call on 07889 036 267. All enquiries are treated in confidence.